The adoptive daughter of Duncan, the current Man-At-Arms, Teela grew up in the palace of King Randor. 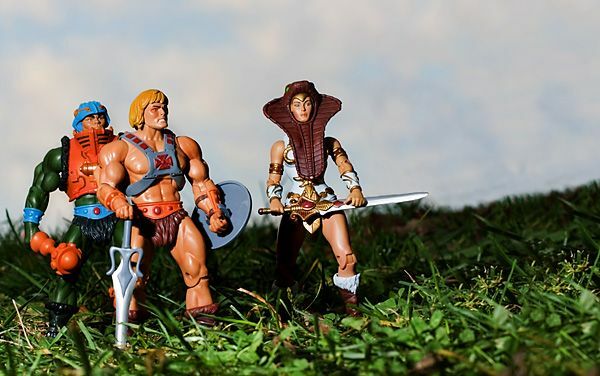 Trained from an early age in the ways of battle, at age 18 she became Captain of the Guard, leading the troops of King Randor and acting as a defacto member of the Masters of the Universe. She is yet to become aware of her true heritage as the magically cloned daughter of, and heir to, the Sorceress of Castle Grayskull. She carries the Staff of Ka, which was once used by the Snake Men in their epic battles against the Horde and King Grayskull during the Great Wars. 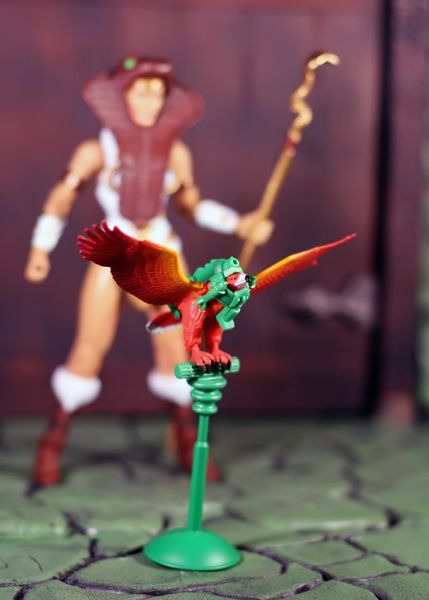 Teela uses her magical staff to track her foes' every move! 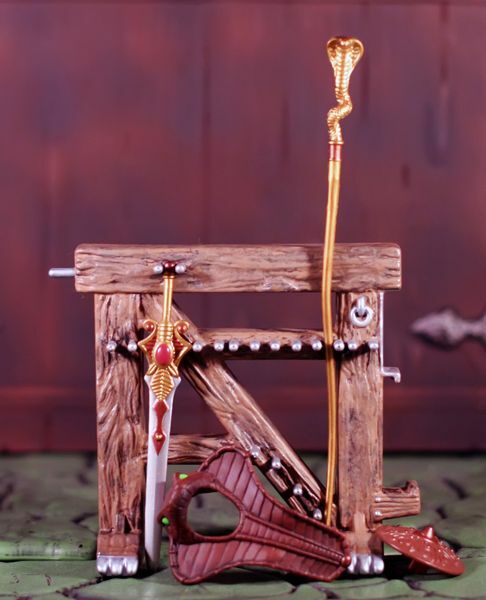 Accessories: Staff of Ka, Sword, Shield, Snake Armor. 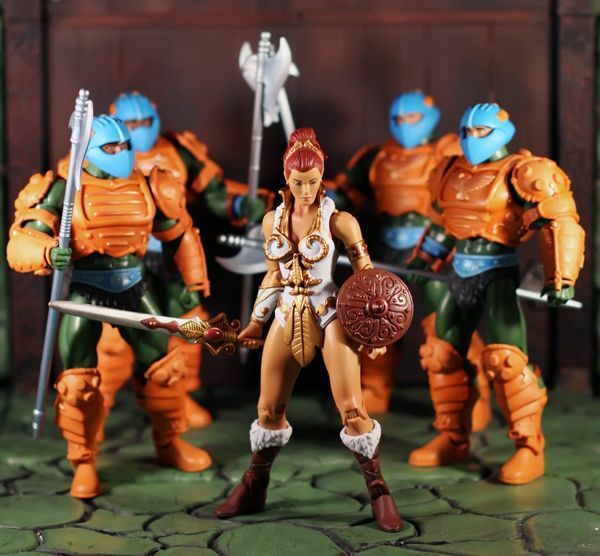 Additional Parts: Teela includes an extra interchangeable head which allows her to wear her Snake Armor. 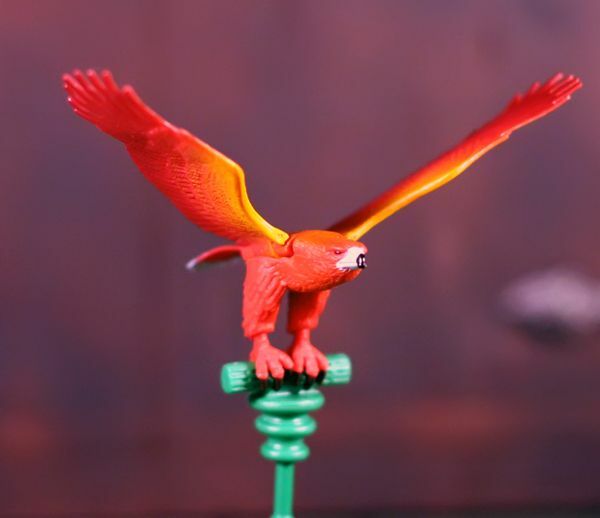 Zoar does not include a perch or armor, but a green version was available in a Weapons Pak.